The Kotak Mahindra Bank stock rose up to 13.87% or 163.85 points to 1345 level compared to the previous close of 1181.50. It posted its biggest intra day gain since November 2014. The Kotak Mahindra Bank stock rose in trade today amid a report that Warren Buffett's Berkshire Hathaway Inc was planning to buy stake in the bank. The Kotak Mahindra Bank stock rose up to 13.87% or 163.85 points to 1345 level compared to the previous close of 1181.50. It posted its biggest intra day gain since November 2014. The large cap stock has gained after four days of consecutive fall and was the top Sensex and Nifty gainer in trade today. On Nifty, the stock was trading 10.37% or 122 points higher at 1,302.65 level. It closed 8.53% higher at 1282.25 on the BSE. On Nifty, the stock closed 8.84% higher to 1284 level. The stock closed above its 50-day and 200-day moving average of 1,165.91 and 1,247.31, respectively. It has gained 28.58% since the beginning of this year and risen 29.61% during the last one year. The stock saw a surge in volumes with 10.62 lakh shares changing hands in 23,721 trades. Total turnover rose to Rs 13,501 lakh, the highest on the BSE. Berkshire Hathaway Inc was planning to invest about $4 billion to $6 billion in the bank, according to a report by CNBC-TV18. Berkshire Hathaway may invest in the lender by buying promoter stake or through a preferential allotment, the television channel reported. However, Kotak Mahindra Bank in a communication to the bourses said, "We have nothing to report to the exchanges on the said item. The bank is unaware of any plans by Berkshire Hathaway buying stake in the bank as stated in the story." The report comes at the time when the December 2018 deadline given by RBI for Kotak Mahindra Bank's promoters to pare their stake in the lender is about to expire. The bank's promoters need to bring down ownership from 30.02% to just under 20% by December. In case, the deadline is not met, the bank could seek an extension of the deadline to March 31, 2019, to lower promoters' stake. The RBI had asked the bank to lower the promoter holding to less than 20 per cent by December 2018 and 15 per cent by March 2020. In November this year, Singapore's sovereign wealth fund GIC raised its stake in the lender by purchasing additional 9.56 million shares from ING Mauritius Investments 1 Ltd, a subsidiary of Dutch lender ING Bank NV, for Rs 1,079.99 crore (about $150 million) via a block deal. 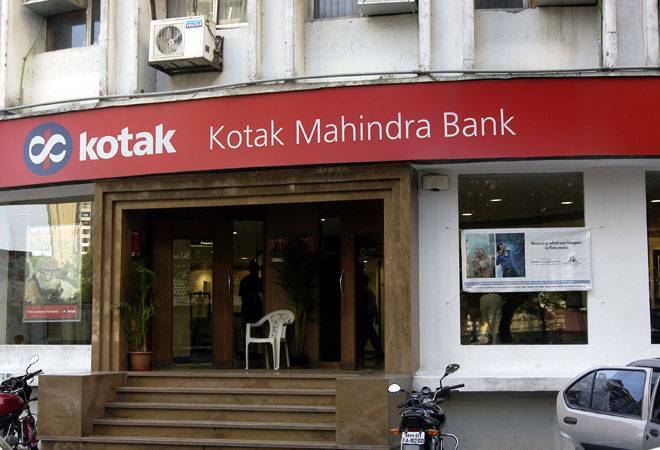 Scottish investment firm Edinburgh Dragon Trust and TFL Pension Fund, managed by Nomura, also bought Kotak Mahindra Bank shares worth Rs 289.63 crore ($40.2 million) and Rs 70.62 crore ($9.8 million) respectively, according to the deals data on NSE.